Our management team combined with over 150 years of aviation experience, provides SOLUTIONS and customized programs to maximize the objectives of the asset owner. Konrad Walter this 2016 celebrates his fortieth (40) year in the industry. In his early career he used his A&P license to learn the business from the ground up as a service technician for several Miami area service companies and Eastern Airlines. He progressed to management responsibilities at Greenwich Air Service and GE Engine Service. In 1998, he became a founding partner and President of Patriot Aviation. This was followed in 2002 by being founding partner and President of Complete Turbine Service. Konrad sold his interest in the company in 2010 and assisted the new owner in developing a world class, full service engine MRO organization now known as CTS Engines where he served as President and COO. He has since founded Taking Aviation Forward, LLC, as the President and CEO which has fostered several aviation related business ventures and partnerships alike, which include Aeronautical Support International, LLC (ASI), and Turbine Management Support, LLC (TMSaero). In addition, Konrad is a Past President and current member of the Board of Directors of the Greater Miami Aviation Association (GMAA). Co-Chairman of the Broward College Aviation Advisory Committee. ISTAT Member, serving many roles such as ISTAT Scholarship Foundation Committee Member and ISTAT Foundation “Florida” Ambassador. John Costello has been in the aviation industry for over 50 years. He joined Aer Lingus in 1964 as an engineering apprentice. In 1969, he attained city and guilds in Aeronautical Engineering. He went on to attain A&P licenses plus JT3D, JT8D, JT9D, and RR SPEY in the 1970s. From that point, John was an engine shop foreman, powerplant and test. In the 1980s , he transferred to Airmotive Ireland where he was a manager engine test/ accessories. From 1986, John was a salesman – SNR VP Sales/ Marketing at AGES Group, which became Volvo Aero which in turn became VAS Aero Services. Since 2011, he has retired and is a partner at Cloud Investment Partners LLLP, Aeronautical Support Inernational, LLC, and TMSaero, LLC. 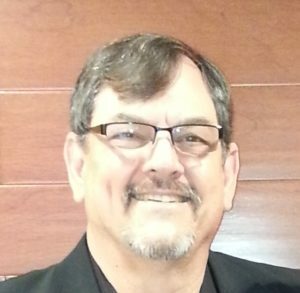 As a managing member of TMSaero, John oversees and assists with business development, engine fleet management, engineering, workscope development, shop visit management, etc. 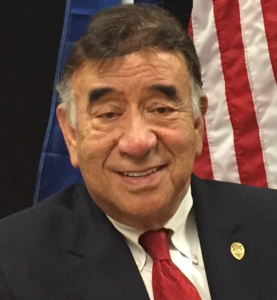 George Boryan’s career entails several aspects of not only aviation, but also the legal practice sector where he served as a practicing Trial Attorney and law-firm partner for thirteen years prior to joining American Airlines in 1989. During his 20 plus years with American Airlines, George took on several leading roles regarding Aircraft and Engine operations. This included Production Supervisor for 767/757 Heavy Check Operations. Where he was responsible and positively impacted performance of the operation, providing 100% on-time delivery. From there George took over as Production Supervisor for Rolls-Royce RB211-535 engines at AFW, Fort Worth, Texas. While in this position he managed the in-processing, evaluation, and overhaul process of the RB211 sub-assembly and build-line shops. George later then took on the title of Production Supervisor for the Aircraft Line Maintenance Operations of over 150 daily departures at American’s DFW base. Which later lead him to Production Manager Aircraft Line Maintenance Operations at JFK, New York and DFW, Dallas airports. In this position he managed performance of Supervisory and Union personnel in daily accomplishment of terminal and hangar Maintenance Operations. He furthermore managed all operations resources while assuring maintenance was accomplished in accordance with Company and FAA requirements. Following this time George went on to being the Customer Business Manager Civil Large Engines – Alliance, Fort Worth, Texas where he managed customers’ Rolls-Royce RB211-535E4 and Trent 800 engines during overhaul at Texas Aero Engine Services Limited, including managing business relationship, work scopes, budget, review of technical data, and material sourcing. George’s education includes Juris Doctorate at the University Of Santa Clara School Of Law. Bachelors of Arts Political Science from San Jose State University. Licenses and Training include; Airframe & Powerplant FAA License. Fleet qualified and/or experienced on the following aircraft: B-777, B-767, B-757, B-737, B-727, MD-80, A-300 and F-100. Also fleet qualified on the following power plants: RB211-535, Trent 800 and CF6, and others not listed. 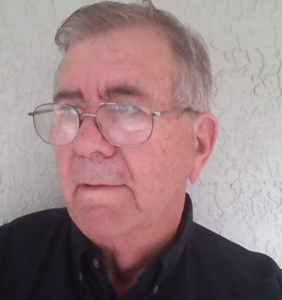 George is TMSaero’s Engineering and Business Development Advisor, overseeing and assisting with business development, engine fleet management, engineering, workscope development, shop visit management, etc. Kurt Walter started his career in 1970 when he attended George T. Baker Aviation (GTB) School in Miami Fl. He graduated from “GTB” in 1973 and received his A&P license. 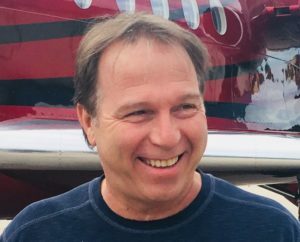 During his over 45 year aviation career Kurt has worked many different aircraft types from DC3’s to B747’s, and engine OEM’s such as GE, Rolls Royce, and Pratt & Whitney. In the beginning, Kurt worked for an Engine Overhaul company and several FBO’s, as well as Lead Mechanic for Air Florida out of Miami International Airport. He went on to work for Piedmont Airlines in 1985 and in 1988 started his career with UPS as a B727 Maintenance training instructor. Kurt taught, developed training curriculums and maintenance programs for both Piedmont and UPS. 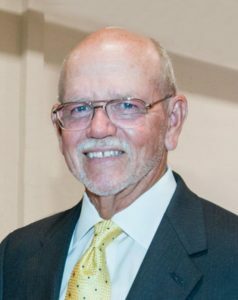 During Kurt’s career at UPS he held multiple positions as Supervisor and Manager in Aircraft Line Maintenance, Maintenance training, Finance, and AMC for nearly 27 years. He was also responsible for the B757, A300 and MD11 phase in by leading the transition teams for UPS operations. Kurt holds a Bachelor’s degree in Aeronautical Science, as well as dual Master’s Degree in Aeronautical Science and Space Operations from Embry Riddle Aeronautical University. 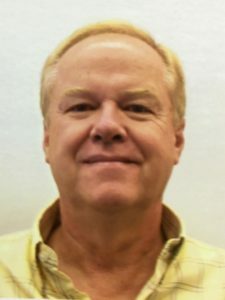 Kurt is TMSaero’s Engineering and Process Development Advisor, overseeing and assisting with business development, engine and aircraft fleet management, engineering, workscope development, shop visit management, etc. Jim McMillen’s 50+ year career in aviation has covered all aspects of jet propulsion from design, development, operation, and maintenance to buy, sell, and lease. He has worked with 3 different engine manufacturers (Rolls Royce, GE and CFM International), 3 different airlines (Eastern, National, and Pan Am) and he was President of the JT8D overhaul facility, AeroThrust, for 20 years. In addition, since his retirement from AeroThrust he has served as Chairman of TES in Wales and CTS in Florida guiding those companies to successful transitions to new ownership through improved performance. Jim has a B.S In Aeronautical Engineering from Penn State and an M.S. in Flight Transportation Management from M.I.T. He is the recipient of the Greater Miami Aviation Association’s prestigious Wright Brothers Memorial Award and is Past President of ISTAT. Jim’s vast experience and expertise provides an additional dimension to TMS Aero’s offerings to include business management advisory services. Doug Elder‘s career includes almost five decades of hands on aviation maintenance. He started with Eastern Airlines in 1968, and his duties included Airline operations, MRO management, build services, technical foreman – providing workscope and on-sight technical oversight for RB211-535E4 engines at the Rolls Royce overhaul facility In Montreal Quebec Canada and in Derby England. Recently, Doug Elder was Director of Engineering for CTS engines for both the engine shop and testing since 2007. Among his many talents and expertise, Doug has designed and fabricated tooling for the overhaul of the CF6-50, CF6-80A, and 80C2 engines. Doug’s career included seven years as the Director of PowerPlants for PACE @ Express.net. Responsible for all aspects of managing Engine and APU operation and training for a startup airline operating a fleet of A-300 and B-727 Aircraft, Doug’s career included time with World Airways responsible for all aspects of managing the P&W 4000 and CF6-50 engines and TSCP700 APUs on World’s Fleet of MD11 and DC10-30 aircraft. In the 90s, Doug also was with Carnival Air Lines as Mgr. Engines and APUs – responsible for all aspects of on-wing maintenance for Carnival’s CF6-50, CFM56, and JT8D engines, as well as GTCP85 and TSCP700 APUs. Licenses and Training include: Airframe & Powerplant FAA License, GE90 777, GE CF6-6/45/50/80, MD11 Aircraft Systems, P&W4000 Powerplant, Engine Boroscope, RB211-535E4 Line Maintenance – Rolls Royce Derby, RB211-535E4 Differences (757) – Rolls Royce, Garrett APU, GTCP331 GTCP700, 757 Avionics Systems – EAL 757-8 – Boeing, etc. Doug is TMSaero’s Engineering and Technical Advisor, overseeing and assisting with technical development, engine fleet management, engineering, workscope development, shop visit management, etc. David Santoy started off his aviation career by serving the US Marines Corps Air Station in El Toro California. For the past 20 years, David Santoy has been employed by the Federal Aviation Administration (FAA) and held several positions: FAA International Aviation Safety Inspector, FAA Front Line Manager, FAA International Field Office Manager as an Aviation Safety Inspector. During this time, he was responsible for adding the first 45 B777s to the American Airlines Certificate starting in 1998. He approved the final inspections and maintenance and Trent Engine programs/MEL for these aircraft by participating in all test flights from the Boeing factory. He assisted Boeing and American Engineering in the final phases of the approval and tests at Moses Lake Washington and approved all final proving/validation flights to Europe and Japan. David also has held many positions: Airline Director of Maintenance, Airline Director of QA, Airline Director of QC, Airline Foreman/Supervisor, Airline A&P Mechanic. Many of these positions were with Continental Airlines, Flying Tigers, Hughes Air West, Republic Airlines, Regent Air Corp, and Evergreen International Airlines. David was also among the original founders of MGM Grand Air in Los Angeles, California, serving as Chief Inspector and Director of Maintenance. David has attended numerous Boeing, airline, and other factory and airline training courses on the following airframes and associated engines: Most all models of the DC9 airframe and engines, Boeing 707-100/124, B-720B, B-320C, B-727- 100-200, B-747- 100-200, B-757, B-767, B-777 – 100-200, Airbus 320-321, Lockheed Electra, Lockheed Loadstar, Convairs, and various Lear Jet and Cessna Citation models. He has attended and passed numerous (over 150) FAA training classes and sessions at the FAA Academy. David’s expertise includes being an excellent communicator with an outstanding ability to interpret the Federal Aviation Regulations and ICAO Standards. For the last 15 years, David has lead U.S. Delegations throughout the world, including Mexico, Central America, Europe, and Africa. Over the last 5 years David has been responsible for air carrier and 145 repair station certification and surveillance for up to 60 foreign countries. David’s vast experience and expertise provides an additional dimension to TMSaero’s offerings to include across the board Airline and MRO operation advisory services. Ken Qualls is known worldwide for the high quality of personal care and attention given to clients aviation requirements and safety needs. Whether it is an aircraft acquisition, marketing an aircraft sale, or flight department restructure, Ken Qualls is personally recognized as one of the industry’s leading experts for Corporate and Airline flight department management and reorganization, best safety practices and analysis; as well as technological and operational requirements of today’s expanding corporate and major international airline fleets. 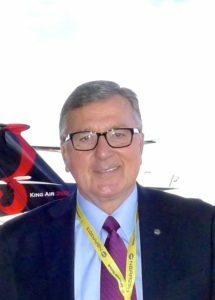 With an aviation career that spans 50 years, Ken has served as pilot, instructor, and flight department manager / chief pilot for several domestic and international corporations, private flight departments, and major air carriers. Ken served as Assistant Director of Operations for China Airlines in Taipei, Taiwan during the 1990s, where he introduced higher training and operational standards for the B747-400, B747-200, B737-700, Airbus, and MD11 aircraft. While at China Airlines Captain Qualls was a Senior Captain and Senior Instructor Captain on the newly acquired B747-400 aircraft. Ken also monitored the training of all ab initio pilot trainees for China Airlines while they attended the University of North Dakota flight Training Program. Ken is a seasoned aviator with over 30,000 + hours of accident and incident free flight experience (airline and corporate combined). Ken holds type ratings and is Captain / Test Pilot qualified on many of the larger Boeing transport aircraft including the Boeing 747-400, 747-100/200, 747SP, 757-200, 767- 200/300/300ER/400ER, 737-200 thru 737-900 and the B737 BBJ series. He has been recruited for personal consultation (flight operations and aircraft acquisitions) by three U.S. Presidents; several CEOs and CFOs of Fortune 100 Corporations; foreign corporations in Asia, India, Mexico, Brazil, Europe and the Middle East; and several individual aircraft owners and operators, saving them millions of dollars with his safety, security, and financial programs. Ken has had the honor of being chosen as the Senior Captain for President Gerald Ford’s world “farewell tour”. Ken has also acted as personal pilot for former President George Bush, former President Ronald Reagan, Dr. Henry Kissinger, and several other United States Officials. Ken earned his Bachelor of Liberal Arts degree from the University of Michigan in Ann Arbor, Michigan where he excelled as a concert clarinetist. Ken recently completed his online residency MBA in International Business and Finance from the University of Wales in Cardiff, UK, through association with Robert Kennedy University in Zurich, Switzerland. Ken’s vast experience and expertise provides an additional dimension to TMSaero’s offerings to include across the board Airline and Flight operation advisory services. Christian Travert started his Engineering career back in 1983. After several engineering and creative career projects under his belt, in 2002 he engineered and built the Travertson Truck, all aluminum with an assembly according to aircraft technology. In 2003, the following year, he developed new products for the U.S. Military and World police as Chief Design Engineer such as armored trucks. Christian values resourcefulness and timely innovation, delivering not only fast results to our client’s problems, but durable solutions and know-how. Solutions that, when implemented, can yield major cost-savings and improved product differentiation. Christian and TMSaero are comprised of engineering, manufacturing, and quality professionals dedicated to creating innovative solutions for the modern marketplace while designing advanced products which are easier to use, more affordable, and more functional than the products they are replacing. Christian heads up research & development, testing, technical marketing, and consulting services worldwide combining in-house R&D resources and affiliations with our industry experts and alliance groups.